Safety is such a huge subject. There are literally thousands of different elements to consider when it comes to maintaining a safe and palatable workplace. Not only is safety about protecting our workers from a physical and psychological point of view, however safety also comes down to providing the confidence and trust that our workers require to do the best job possible. Safe workplaces are identified to be effective workplaces and so investing some time and money into discovering solutions that promote safety – can save you generously in the benefits that it delivers. Large or small, any construction project can be dangerous for workers around. With proper coordination, consultation and cooperation, organisations can ensure the health and safety of all members present on site. Equipping the staff members with personal safety equipment can reduce workplace accidents. At each step of the process in construction work, management must understand that safety cannot be overlooked in order to cut costs or make profits. Your business will benefit from great safety management and happy workers. To protect both your workforce from fatalities, ProjectLink has covered a wide spectrum of safety solutions. We have a fantastic range of safety clothing protection which cover everything from eye protection, fall protection, body protection and much more. Safety signs are always a crucial feature for informing workers and First Aid kits are an industry standard in case of accident or injury. Our suppliers even offer comprehensive site inspection Services to give insight into the potential hazards of your workplace. If it is one thing that ProjectLink prides itself on, it is the quality and range of our safety products and services. 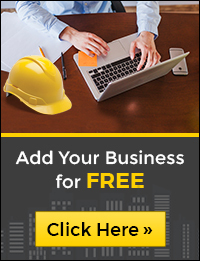 We understand the necessity for safety within the realm of construction and infrastructure which is why our website features thousands of different solutions to ensure that your business is getting the best outcomes that it deserves. Take a look at these different options and pick the ones that fit your requirements perfectly. By choosing to view a product you will be able to get in touch with the supplier directly. The construction industry is an ever growing industry. The compass of construction industry stretches from houses and buildings to public spaces and transportation system. This industry stands on the pillars of specializations like architecture, civil and environmental engineering, construction management, industrial design and manufacturing, landscaping design, interior design and planning, financial management etc. Each of these sections put to use construction equipment and machinery that aid in the process of construction. Therefore the maintenance of these heavy machinery becomes important. When the construction equipment are regularly checked and maintained, they last longer in comparison to those that have not been serviced often. Regular maintenance of heavy machinery reduces the repair costs, increases the longevity of the machinery and adds resale value if you intend to sell it. Operating cost is also important while running these machines. Construction machinery require fuel or electricity to run. Heavy duty equipment run on fuel of some kind. When these equipment are not up-to-date, these will use more fuel and energy than usual. This increases the operating cost. So, in order to reduce the cost of operation, regular maintenance and servicing of these construction equipment is required. Construction equipment maintenance tips can be divided into sections. Each section is based on suggestions about how to improve the work quality of the construction equipment and how to reduce the overall cost. ProjectLink has an array of all the above construction equipment. Based on purpose, each category has a multiple choice of equipment to pick up from. With multiple teams, heavy machinery, castings and concrete works and precarious spaces – Construction sites are busy and fairly dangerous spaces. With proper coordination, consultation and cooperation organisations can ensure the health and safety of all members present on site. Construction work is any work carried out in connection with the construction, alteration, conversion, fitting out, commissioning, renovation, repair, maintenance, refurbishment, demolition, decommissioning or dismantling of a structure, or preparation of a building site. Due to the nature of risk to life involved in certain industries, the Australian government has been proactive in creating laws and strategies to enable the safe working conditions. The Australian Work Health and Safety Strategy 2012-2022 has identified the construction industry as a priority due to the high number and rate of work-related fatalities and serious injuries. For a number of years, construction has consistently been among the top few industries with the highest number of serious claims. Since 2006-07, it has had the fifth highest incidence rate of serious claims of all industries. The Strategy aims to reduce the incidence of serious injury by at least 30% nationwide by 2022 and reduce the number of work-related fatalities due to injury by at least 20%. The old adage “Prevention is better than cure”, cannot be ignored when we consider the safety of staff and works on site. Equipping the staff members with personal safety equipment can save the PCBU (Person conducting business or undertaking) a fair amount of heartache. Helmets or hard hats, safety glasses, gloves, safety boots and earmuffs are the basic construction wear if provided to the workers can immediately reduce claims and injuries. Depending on the nature of the construction, equipment like safety harnesses, safe cage lifts, safety eyewash, and fireproofing can ensure the work is carried out with minimum problems. It is also fairly common, and a norm growing in popularity to hire a safety officer or consultant to guide from workers to the management staff the proper guidelines and processes to ensure the injuries and fatalities can be prevented while working on the site. The safety officer also makes rounds of the site to ensure that staff is adhering to the guidelines. When a construction project comes up, the foremost step is conceptualization and design development followed by procurement, assembling of labour force and so on. While it may not be easy to stay up-to-date on every little change in the construction industry, but it is important for every construction professional to stay abreast of the latest advancements, news, trends, technology and design. ProjectLink works closely with Australia’s leading brands and suppliers in the construction industry. The team at ProjectLink strives to provide information on the latest news and developments in the industry. Whether you are a project manager or a professional contractor looking for sustainable building design, technology, and news, ProjectLink will save your time and effort in finding the information you need. Here are some of our favourite construction blogs that we think you should be reading. These blogs will give project managers, architects and contractors the knowledge they need to keep ahead of the latest developments in the industry. How to Stay Safe on Construction Sites? Large or small any construction project can be dangerous for workers around. Know most common hazards at construction sites and safety tips to avoid them. Personal protective equipment (PPE), signage and barriers to use at construction and mining sites in order to reduce risk factors for workers. Types of industrial spill hazards that occur at sites and their prevention and control including the required equipment and methods. Advanced height safety equipment, other engineered solutions for Australian construction and other industries, including, quickscaff, fall arrest system etc. Lack of proper commercial storage facilities affect the overall site safety. Here are some effective storage solutions to prevent potential on-site accidents. Accuracy of land surveying with these 5 most high tech equipment that would add speed and advancement to construction projects. For architects, building facades play a key role from a design and structural point. Check out some key aspects to be considered for designing facades. Check out these top CAD software that are designed to facilitate accuracy, detailing and minimization of errors at various stages of a construction project. Bollards are used to protect sites or divert traffic. In recent years the applications of bollards has evolved to ensure higher safety of public spaces. The latest high tech access control systems for workplace security, including BIS, keypads, photoelectric sensors, and sliding gate operators.